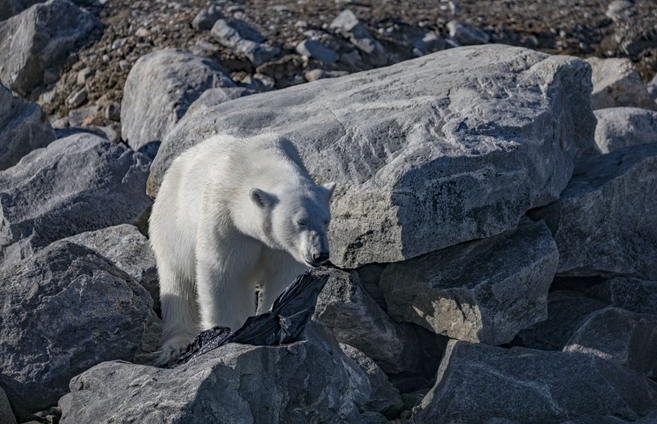 Photographer, Fabrice Guerin, took the images while visiting Arctic Archipelago of Svalbard., Norway. 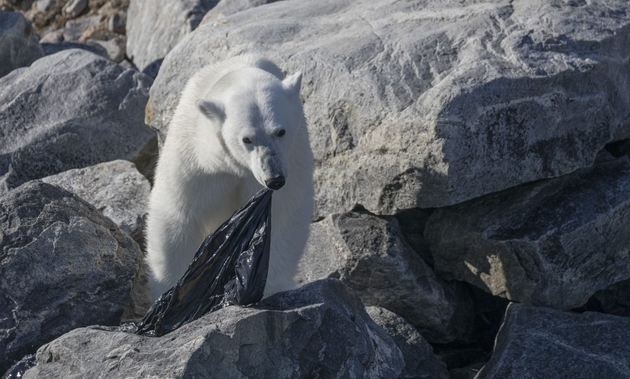 The 50-year-old watched the polar bear hunting for food but after giving up, he ended up chewing on a plastic big bag that had washed up onto the rocks. Catching this moment on camera to illustrate the huge problem with biodegradable plastic in the ocean, Fabrice was left feeling speechless. 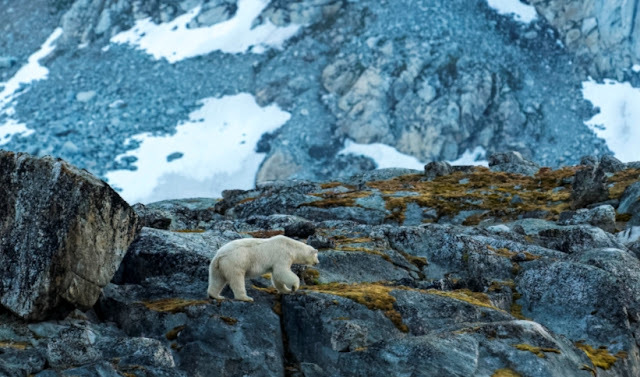 The photographer, who lives in Paris, France, said: “I spent four hours watching the polar bearon the rock from our boat. “He didn’t move for ages but suddenly he decided to walk as it was time for him to find food. “With the guide, we followed him but we always kept our distance. 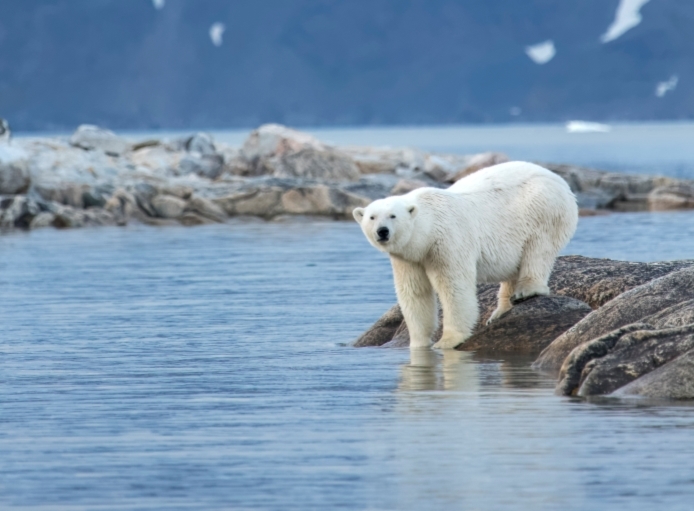 “When we decided to come back to our boat, we saw the polar bearwas looking for something into the rocks. “We were surprised to see this magnificent animal had a plastic bag in his mouth! Fortunately, he didn’t swallow it whole. “I never thought to see some plastic in this area but I do know there is no frontier for plastic waste. “The global production of plastic rises every year and we discover bottles and plastic bags mostly everywhere. 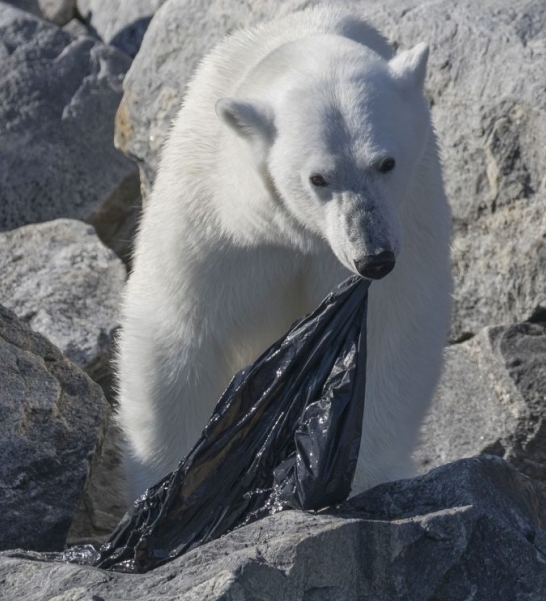 Responses to "Starving polar bear eats plastic bin bag in desperate attempt to find food"
Horrific! Humans need to clean up their horrendous messes in nature for everyone's sake. Unfortunately all over the world people ignore the message of the necessity of recycling, reducing C02 and protecting life .